Amazon (NASDAQ: AMZN) has announced a new delivery service where couriers leave ordered packages inside a person’s vehicle. Amazon has been beta testing the new service for the past six months in California and Washington state. The company is now rolling out the new service in 37 cities in the U.S. This new service is being developed in partnership with General Motors and Volvo. Amazon, GM, and Volvo have agreed to a two-year contract as a trial period. The service will only be available to Amazon Prime subscribers that are owners of GM and Volvo vehicles, model year 2015 or newer, with active OnStar and Volvo on Call accounts. A spokesperson for GM said that over 7 million Chevy, Buick, Cadillac, and GMC vehicles will be eligible for Amazon’s new service. Amazon wants to use the connected technologies embedded in many modern vehicles to gain entry to your car. Both automakers in the partnership are considered innovators in connected car technology. OnStar, a subsidiary of GM, is seen as a leader in this field. Volvo On Call is quickly gaining in popularity, providing subscribers with roadside assistance, remote climate control, and remote access to the vehicles. Amazon says it plans to add other automobile brands in the future. Users that want to use the new delivery service must add their car to their Amazon Key app, along with a description of the vehicle, so Amazon’s couriers will be able to locate and access it. 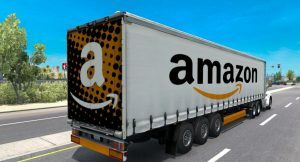 The car will also need to be parked within a certain radius of an address used for Amazon deliveries, with most users using their work or home addresses. The couriers will deliver to driveways, parking lots, parking garages, and cars parked on the street. Amazon’s couriers will locate the car using its GPS location and license plate number, as well as an image of the car. A device will verify the car, scan the package, and use the connected car services to unlock the vehicle. Amazon also sends a series of notifications to let the user know that the package is on its way. The courier will verify that the car has been relocked after the delivery before moving on to the next. There are some restrictions on what packages can be delivered under the new program. Packages that weigh over 50 pounds, are larger than 26 x 21 x 16 inches in size, or are valued over $1,300 are not eligible for in-car delivery. Packages that require a signature or come from a third-party seller are also ineligible for in-car delivery.